My go-to range for soothing sensitive skin and reducing the reactivity and redness of skin. 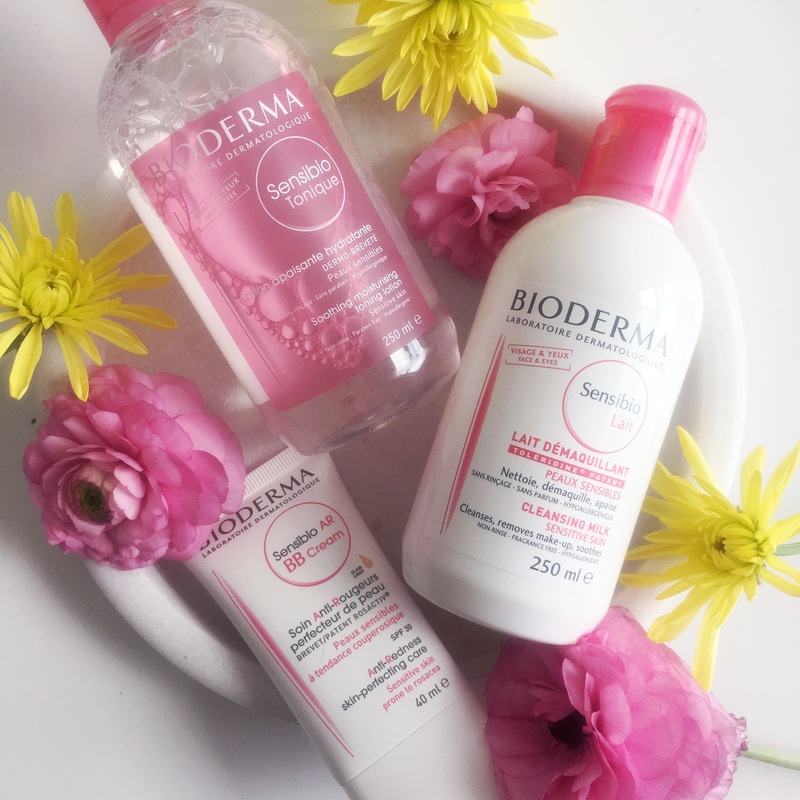 It’s no secret that I’m a lover of the Bioderma Sensibio range. The Sensiobio H2o micellar has always been a favourite product of mine and the reason that I went to France earlier on in the year. Not only did I get to visit the factory where they made the micellar water, but I was able to see how all the products were made and I was able to learn more about the ranges. I was introduced to the Sensibio range because I, unfortunately, suffer from sensitive skin. On the quest to find something that was reasonably priced and didn’t make skin react, I was recommended to head to Priceline and try their hero product of the Sensibio H2o micellar water. I constantly would slather my skin with foundation and want to cover my complexion. Fixing it was a slight teething process, but I now happily will rock a foundation-free face and I know that the Sensibio range has definitely helped. A few weeks ago I was lucky to test out some new products from the Sensibio range. They’ve launched three new products in the lead up to Spring! The three products that have launched include a Sensibio Makeup Removing Cleansing Milk, Sensibio Soothing Toning Lotion and a Sensibio AR BB Cream with an SPF of 30+. So far I love the products. The texture is smooth and emollient and feels nourishing on my skin. When I first apply the products it feels like it’s calming my skin. Instantly my skin feels hydrated and cool due to the calming nature of the ingredients in the products. After your regime, you can apply the BB cream to finish the look and protect your skin as it contains a high SPF rating. The texture is quite thick so you know you’ll get good coverage and sun protection too. The only issue I had was the fact it was slightly dark for my skin tone but this is easily fixed. Being as pale as Casper I’ve had to get a little creative, so if this is you, you can lighten it by mixing with some moisturiser or even a makeup primer. I’m excited to continue to use the Sensibio products in my new Springtime skin routine and I’ll let you know how everything is going. If you want to see the products in action, take a look at the video below. If you want to purchase any of the Bioderma products you can buy them online or at Priceline stores nationally. This post was in collaboration with Bioderma Australia.